iOS 12 and iOS 11 is available for downloading at present. It is not surprising that various Apple users have been rushing to update and install the latest major upgrade. However, some iPhone X/8 or iPhone 7/6s/6 users can't find the update via Settings > General > Software Update. Some other users will get update failure or "unable to install update" error. 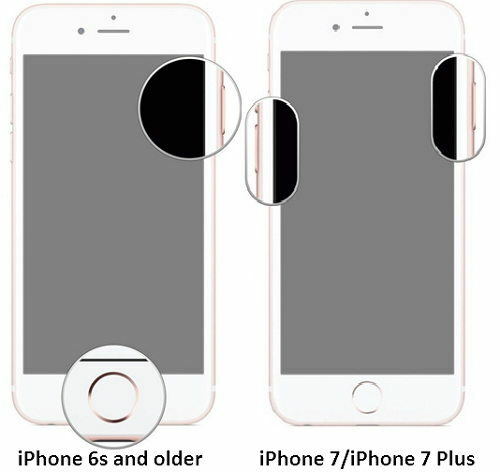 Given this, we have gathered some of the cases and solutions about how to fix iPhone won't update to iOS 11/12. Case 1. What Devices Can Update to iOS 11/12? "After the last night presentation I' d like to know if there will be compatibility of iOS 11 with iPhone 5c." How-To Fix: If your iPhone/iPad unable to update to an iOS, confirm that whether it is compatible with the latest iOS at first. 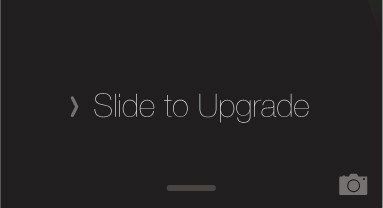 Therefore, before complaining about failing to update iOS, check if your Apple device supports the update. Here is a full list of iOS 11 and iOS 12 device compatibility. Case 2. iPhone/iPad Won't Recognize iOS 11 is Available? "iPhone 6s won't update to iOS 11. I'm trying to update my iPhone 6s to iOS 11 via Settings -> General -> Software Update, but can't find the update and displays that I have the latest update which is 10.3.3. Is there any way to force to find the update to iOS 11?" Wait for a few hours and try to access Software Update again. Install new IPSW file with Tenorshare ReiBoot. You can get more details of this update method in latter part of this article. Case 3. Unable to Install Update in iOS 11? We have to admit that upgrading an iPhone/iPad/iPod to the latest Apple's iOS version is worth-trying while the version offers many new and innovative features iOS 11 and iOS 12 highlights. But at times it is risky to do that, too. For example, some users may encounter the following install error during the update. "Unable to install Update. An error occurred installing iOS 11." If you're using iTunes to update, be sure the version is iTunes 12.7 or later. If you're updating iOS 11 over the air, be certain you use Wi-Fi, not cellular data. Go to Settings > General > Reset, and then hit on Reset Network Settings to update the network. If your device keeps frozen or suffers install failure, try to force reboot it in a simple and basic way. Generally speaking, this is to turn off your abnormal iPhone, iPad or iPod, but you may stop the software update error by using this method. Refer to this post on how to force restart or reboot iPhone/iPad. If you can't see update on your iPhone/iPad/iPod touch, or the iOS 11/12 unable to install, I suggest you use Tenorshare ReiBoot to fix the update stuck in recovery mode/Apple logo or other issues without data loss. And after the system recovery with Tenorshare ReiBoot, your iPhone will install with iOS 12/11 successfully. Install and run Tenorshare ReiBoot on PC/Mac, and connect your device to computer via USB cable. Choose Fix All iOS Stuck and then Start Repair. Tenorshare ReiBoot will display the latest iOS firmware package for downloading. Click Download to get it online. Once the firmware package is downloaded successfully, click Start Repair to install iOS to your device. The whole process takes several minutes. Please do not disconnect your device. In this article you'll get some tips to fix iOS 11/12 won't install on your device and how to update to the new system successfully. More iOS 11 update problems and fixes and iOS 12 problems can be found here.